If you’re frequently using your smartphone to perform calculation, then you must try this innovative app on your android or iOS device. I have been using this calculator on my iPhone device and it works so good. After installing this app, I stopped using default calculator app on my iPhone and switched to this new app. 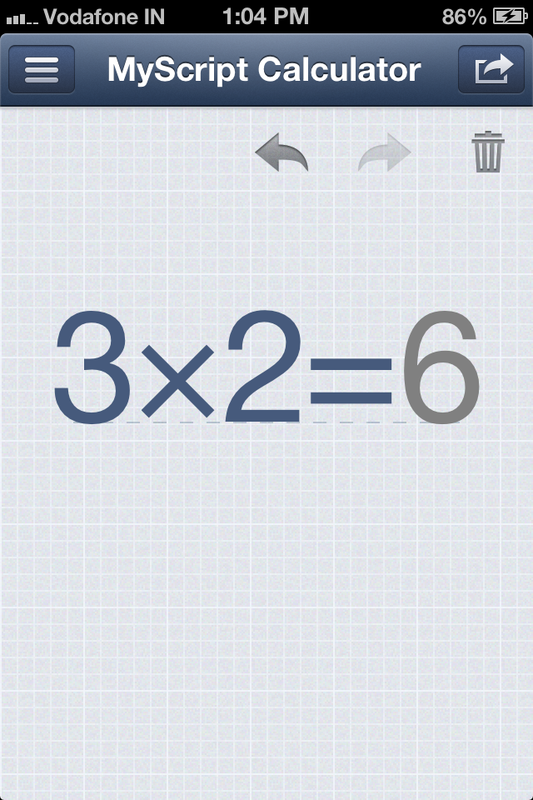 It always fun to use this app to perform calculation. For example: If you want to multiply 3 and 2, then write 3, multiplication symbol, 2 and = to on your smartphone screen by using your finger. When you write = this app automatically compute the result. If you still never tried this app on your smartphone then I highly recommend you to try this app once.